Actuators for 2 Way and 3 Way ball Valves. Actuators for all HVAC Applications, like AHU, Process, and Related. Actuators for Pharma, API, Chemical, Process, Gas, Fertilizer, and Hazardus Area. Our Explosion Proof Actuators are known for their quality and competitive price also. All actuators are programmable and adjustable on site (Accessory "Stick" is required). 4 motor running times and 2 torques as well as 2 spring return times, according to the actuator type, are selectable or adjustable on site. 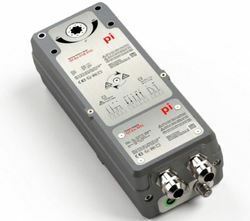 The integrated universal power supply is self adaptable to input voltages in the range of 24-240 VAC / DC. Size: 0.47" × 0.47"/ 12 × 12 mm. These Explosion Proof Transmitters are manufactured from quality material, and are easily available at very reasonable price in market. These are known for their reliability, durability and competitive price. We, manufacture products that are in compliance with international standards. 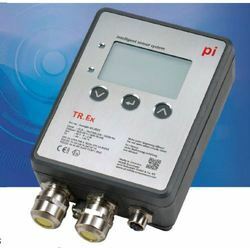 Atex Certified Zone 1, 2, 21, 22. 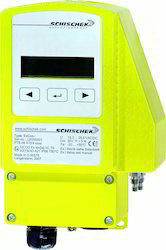 Atex Certified Switch for HVAC Applications. Analigue and Digital HVAC Switches for Atex Zone 1, 2, 21, 22. Gas Group I and II, IIA, and IIB. Duct Mounted Temperature and Humidity Sensors. Atex ZOne 1, 2, 21, 22. Gas Group II A and II B.
Actuators for Zone, 1, 2, 21, 22. Sensors for Atex Zone 1,2,21, 22. VAV COntrol Actuators and Sensors. HVAC Sensors for Temperature, Humidity, and Pressure. 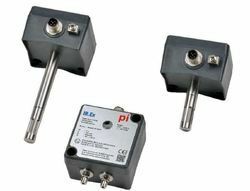 PTB Certified Actuators and Sensors. Actuators for Dampers ,We build a comprehensive line of damper actuators. The versatilemulti-signal actuators, the fastactuators for precise laboratoryfume hood control and the hightorque U & W actuators place us atthe forefront of actuator technology. 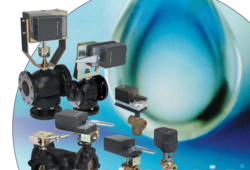 The A and M family of linearactuators operate 2 way and 3way globe valves. They areequipped with electronic strokeadjustment, can accept analog,tri-state, on/off and PWM controlsignals and are available with thepatented enerdrive fail safesystem. They will adapt to manydifferent makes of globe valves withour retrofit linkage assemblies. Enerdrive, the Electronic Spring is a system that is fullyincorporated into the PC board for both low and linevoltage service. The power generated and stored in itscapacitors will drive the controlled device at full ratedtorque to its safety position. It is 100% operational withthe resumption of power. Enerdrive models may bemanually positioned with the clutch override that isstandard on all Neptronic actuators. Most importantly, thefinal fail position, either normally open or normally closedmay be chosen at any time either before or after installationwith the flick of a dip switch. Neptronic is the leader in developing fast responsetechnology. In the B classification, the rotational speed ofthese models varies from 1.5 to 6 sec. Their primary useis in fume hood damper control in clean room applications.Larger fast response models with the T and Rclassification have a 20 second timing and are applicablein smoke control, stairwell pressurization and generatorroom installations. For applications where fast responseis not essential, Neptronic’s standard models deliverrotational speeds from 60 to 100 sec of quiet, smoothoperation. We can replace makes like Belimo, Siemens, Sauter, and related companies actuators. The experience gained in addressing the concernsand requirements of the building automation industry.This means simplicity in the appropriate model selection,quick and easy installation and trouble freecommissioning. Only Neptronic offers the widest selectionof torque output, control signals and rotationalspeeds in both fail safe and non-fail safe valve actuators.Only Neptronic developed the patented EnerdriveSystem, the modern, electronic replacement for antiquatedspring return.The Neptronic Family of Valves wide range of electric motorized Ball valves, Globevalves and Butterfly Valves to control the flow of hotwater, chilled water and steam in commercial and industrialapplications. Neptronic proportional controlledContoured Port Ball Valves with equal percentage flowcharacteristics and low flow coefficients require lowtorque to operate and are easy to install with their convenientSweat or NPT union fittings. The Single-seatGlobe Valves with brass trim perform with an equal percentagecharacteristic in the 2 Way models and a linearflow characteristic in the 3 Way mixing and 3 Way divertingmodels. The valve plugs are designed to enhance thecontrol and provide low gain when nearly closed, thuspreventing any undesirable hunting.For larger capacities with up to 200 PSI close off pressure,Neptronic motorized Butterfly valves are availableup to 12”, 2 and 3 Way with 24 VAC actuator. The uniquerubber lined valve seat enables a snug fit for the disc andnecessitates a low closing torque and break away torque.The perfectly spherical “S” shaped disc provides linearflow and low turbulence.Control Signal Selection is SimpleChoose digital or analog control signal regardless of thevalve size. All digital models, including those withEnerdrive, may be wired for 2 position or 3 point floatingcontrol. Similarly, analog models may be wired and calibratedin the field to respond to 2-10VDC, 4-20mA andmany include pulse width modulating (PWM) or floatingcontrol by the flick of a dip switch. Special tools are notnecessary. In addition, analog valve actuators feature electronicstroke adjustment and zero & span signal conditioning. Looking for Explosion Proof Actuators & Transmitters ?